Click on the photo to read more and reserve your spot with Big Eye II charters. Looks like it will be an epic year for Blue and Black Marlin along the coast of Costa Rica this year, Today we floated five blues and five sailfish. In the end we released two of the Sailfish. 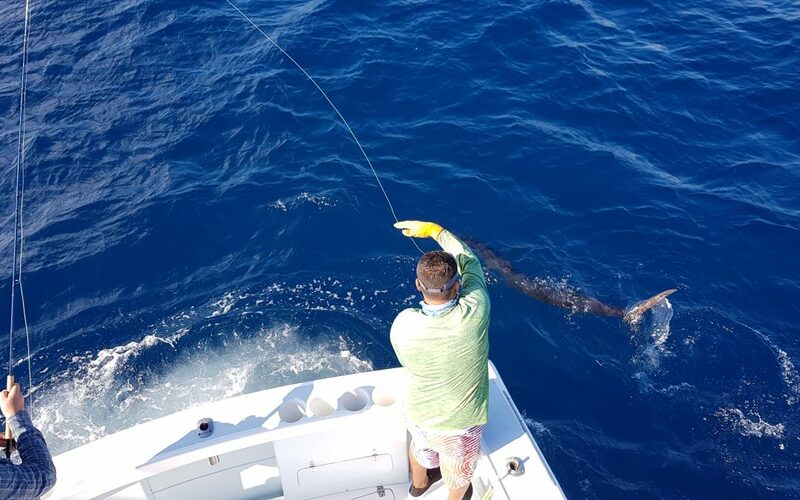 A few years back the sailfish were off the hook, now there aren’t quite as many sailfish but they seem to replaced by marlin and the Tuna and Mahi Mahi fishing is some of the best we have seen in many years.